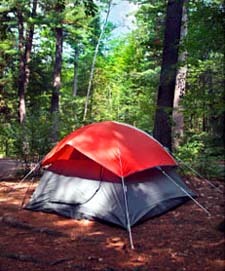 Back country camping is allowed off of hiking trails along the Kancamagus highway and off the Kancamagus Scenic Byway in the White Mountain National Forest. There are different rules for different areas of the forest, be sure to read and understand all Rules for Back-Country Camping on The Kancamagus. Ask a Backcountry Camping Question!